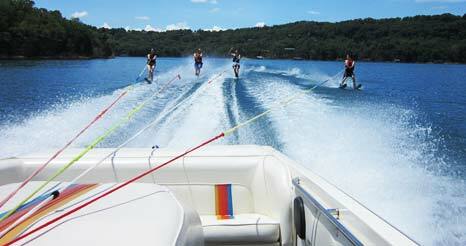 Escape the hustle and bustle of your busy life to Lake Shore Cabins on Beaver Lake! 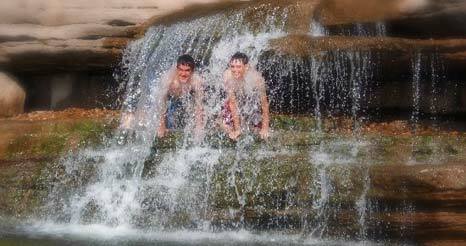 Reconnect with nature here in the beautiful Ozark Mountains and create memories that last a lifetime. 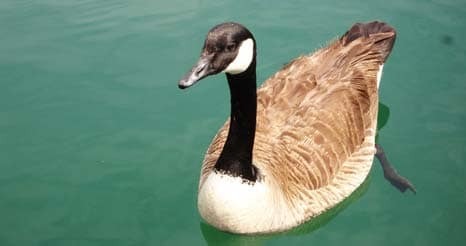 Lake Shore Cabins on Beaver Lake is a tribute to nature, a one of a kind family owned resort that is dedicated to the preservation of wildlife, the rich history of Eureka Springs, the joy of family and true Ozarks hospitality. Our Eureka Springs cabins and resort is located 9 miles from downtown historic Eureka Springs, four miles from the beautiful White River and Beaver Dam. 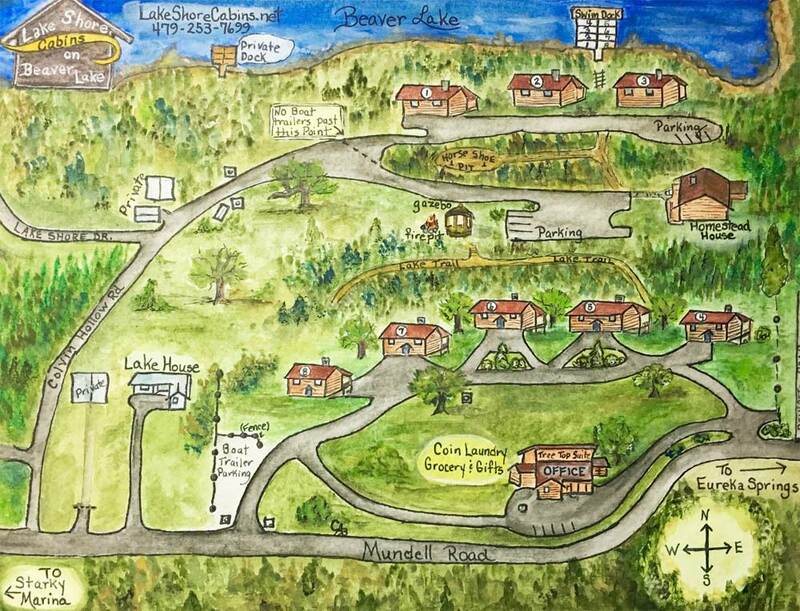 Lake Shore Cabins offers eight, well appointed, authentic log cabins, a conventional Lake House, and two NEW PREMIER luxury log style accommodations with hot tubs; The Treetop Penthouse Suite and The Homestead House! We’re also proud to announce the opening of our brand-new office, grocery center, gift shop, art gallery, log cabin décor, scenic overlook, large free video library, new coin-op laundry and newly paved roads! Our luxury log cabin accommodations sit upon 16 manicured acres on the crystal clear waters of Beaver Lake and offer all the privacy and comforts needed to enjoy a relaxing, peaceful vacation retreat. Bring your camera, it’s a breathtaking view! Whether it’s a family vacation, a romantic get-away, anniversary, honeymoon or a business meeting, Lake Shore Cabins is your resort for all seasons. 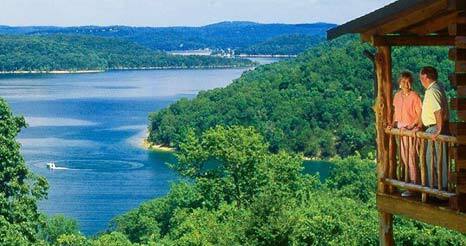 Waterfront recreation awaits you at our Eureka Springs cabins resort! We have a large covered boat dock with slips available, area for fishing, lounge chairs for basking in the sun, picnic tables with umbrellas, and a spacious swim deck for swimmers. Bring your boat! Don’t have a boat? 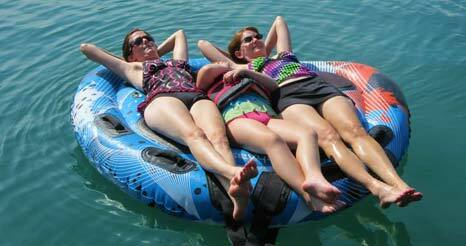 Boat rental is just 1.5 miles by car and one cove over by water at nearby, Starkey Marina. 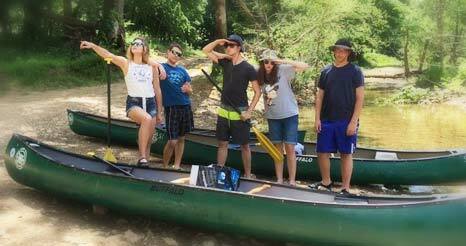 Canoes, paddleboats and kayaks deliver to our dock. 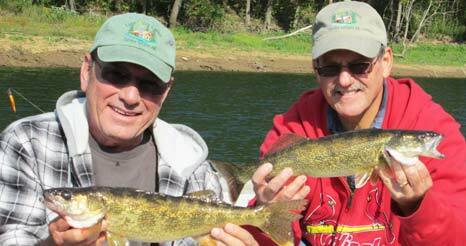 Fishing guides pick up at our dock and return you with your catch cleaned and ready to cook! We love this little piece of heaven and we love sharing it with those who appreciate the natural beauty of the Ozarks. We welcome you to share it with us and escape today! David, I, and our friendly staff are here to help you plan your perfect vacation getaway! your Eureka Springs Resort for all seasons! Enjoy trails to the lakefront for swimming and boating, play a game of horseshoes, have a picnic in the gazebo, or snuggle up around the campfire for smores. 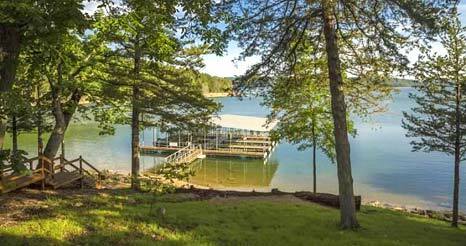 Nature trails, the beautiful scenery and vistas and all the offerings of nearby Eureka Springs make Lake Shore Cabins on Beaver Lake the perfect destination all year long. 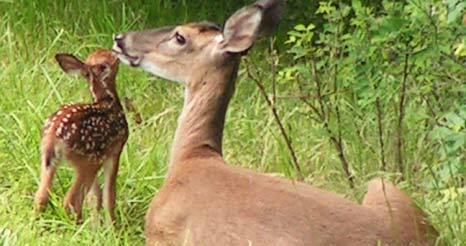 There is so much to discover and explore just outside your cabin door!